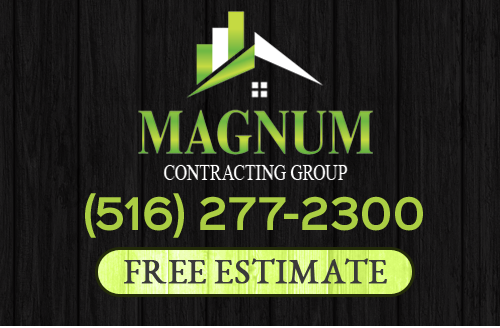 At Magnum Contracting Group, our Long Island roofing contractors are proud to serve both local residents and business owners. We are the preeminent roofing company in the area for one simple reason. In every service that we provide, our professionals put the needs and goals our customers first while striving to add long-term value to each property that we work upon. If you want to hire a professionally licensed Long Island roofing contractor who will bring this dedication to excellence to task for you, call Magnum Contracting Group today. Our courteous and polite staff would be happy to discuss your needs with you and to inform you as to the many ways in which we can provide for them. We would be excited to schedule your appointment today. The roof of your home provides the interior of your property with its first line of defense against adverse weather conditions and the elements. If the waterproof barrier is compromised, a great deal of damage can occur in short amount of time. As such, at the first sign of a roofing problem, it is imperative that you call a professional to conduct repairs as soon as possible. 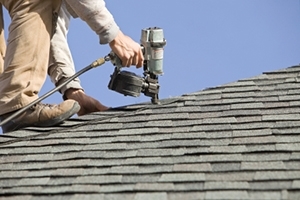 Our Long Island roofing contractors are adept at both routine maintenance and roof repairs in Long Island. Through our roof inspections, we can identify and repair minor leaks before they become major problems. Through our insurance restoration services, we can resolve and repair major roof damage in the quickest time period possible. At some point in time, every roofing system needs to be replaced. When that time comes for you, you should consider all of the options that are available. Metal roofing is a fantastic alternative to other traditional materials. Where metal roofing really stands out is longevity. In comparison to asphalt shingles, a metal roof can be expected to last 2 to 4 times longer. As the popularity of metal roofs has increased, the variety of designs and finishes has greatly increased. Our professionals can help you choose the best looking, most protective, and longest lasting metal roof for your Long Island home. If you are looking for a professional Long Island roofing contractor then please call 516-277-2300 or complete our online request form.